Call them what you will, but you sure can't accuse Moto phones of being inconsistent with their design. Ever since the Moto Z, the rounded square shape and the circle camera bump have become synonymous with the Lenovo-owned brand. So it's no surprise the company's latest flagship, the Moto Z2 Force Edition, would have the key characteristics of its predecessor on full display. But those of you in the know with the Moto lineup will immediately raise the point that the Z line has reasons beyond simple brand consistency to remain the same between generations. Moto mods, also known as the only remaining bit of the 2013–2016 modular smartphone craze. Since they exist exclusively in the form of detachable backs, devices' size and shape need to remain pretty much constant so as no to break backwards compatibility. But the Z2 Force Edition has more going about it than just its accessories — for one, it isn't really a pure successor to last year's Z Force, but more a result of two separate paths converging. While last year we had the Moto Z and Moto Z Force (as well as the Moto Z Play), a successor to the former is nowhere to be found this year, so the Z2 Force has taken on some of its characteristics instead. So without further ado, let's see what all the fuss is about, shall we? As mentioned, the Z2 Force Edition is almost a dead ringer of last year's Z Force — if you're not paying attention, that is. Looking at the front, the first thing you might notice is the redesigned fingerprint scanner. First seen in the Z2 Play, Moto has done away with the unsightly square-shaped scanner in favor of a much less obtrusive pill-shaped one in its stead. The back is a slightly different story, though. While the basic components are the same, there's some more noticeable differences when compared to the Z Force. Firstly, the metal back itself has received a major change: gone is the ridged horizontal design, which has been replaced with a more conventional brushed metal look. 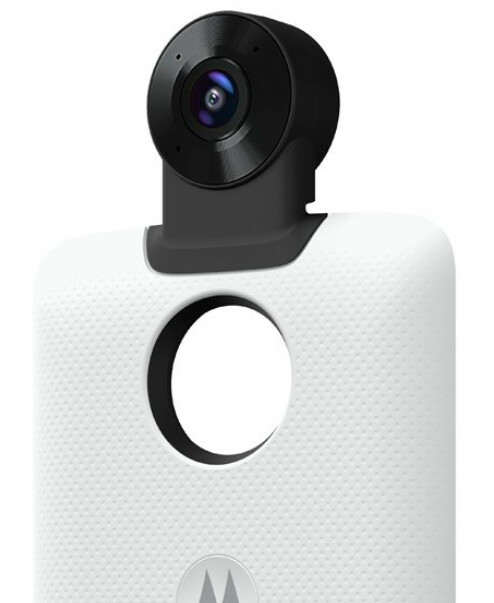 Surrounding it from all sides are what appear to be antenna lines, while the Moto mods connector has been slightly redesigned. Oh, and the camera bump now plays host to a dual sensor module; but more on that in a bit. With the Moto Z, Lenovo seemed very focused on one particular aspect of its design: thickness — or the lack of it. Our own review last year called it "preposterously thin," though the reason behind that choice (Moto mods) seemed pretty clear. And since there is no Moto Z2 this year, the Z2 Force Edition has inherited this aspect of the Moto Z, though whether this was the right call remains to be seen. Lastly, just like the previous entries in the Z line, the Z2 Force Edition does not feature a headphone jack — sorry, audiophiles! The Z Force's defining feature was undoubtedly its display: a 5.5-inch, 1440 x 2560 AMOLED panel with a special "ShatterShield" technology designed to prevent against, well, shattering. And as it turns out, all of those specs have transferred over to its successor down to the T, which should be good news for the many people out there prone to dropping their devices. On the inside, though, things start to get a bit more exciting. This being Moto's 2017 flagship, few expenses have been spared in terms of specs. For starters, there's the Snapdragon 835 SoC — the same one you'll find in the Samsung Galaxy S8, OnePlus 5, and Xiaomi Mi 6 — which has more than proven its capabilities so far. Coupled with it you'll find either 4 or 6 GB of RAM, while internal memory will be either 64 or 128 GB. Those differences are regional, though, so don't get your hopes up for having much of a choice on the matter. U.S. get the worst possible combo: 4 GB RAM and 64 GB storage. The rest of the world gets an upgrade to 6 GB of RAM, while China also gets the increased storage. However, all versions of the device will have an SD card slot. But while the Z2 Force Edition is an upgrade over the Z Force in most aspects, there's one particularly weak point many people won't be happy with. The Z2 Force Edition sports a 2730 mAh battery, which is low by flagship standards, and even lower when compared to the Z Force's 3,500 mAh one. Curiously enough, Moto nevertheless insists on calling it an "all day battery." Following the 2017 trend of dual-camera smartphones, the Z2 Force Edition comes equipped with a module of its own, which can be found on the rear, right inside the iconic circular camera bump. It's of the monochrome-color variety, the same idea as in the Huawei P10, for example. Its resolution looks like a downgrade on paper: both sensors are 12 MP, instead of the Z Force's 21 MP. However, this could mean the actual sensors are larger in size, and thus can take in more light (which would increase image quality), though it remains to be seen how they'll perform in real life. On the back you'll also find the same dual LED and laser autofocus as on the device's predecessor, though. And as one might expect from a dual camera, there's a portrait mode for that perfect artsy shot, but you can also use it to capture native black-and-white photos, HDR, and more. And we expect to see some fairly good photos come out from this camera: both sensors are Sony's IMX386, the same as the ones found inside the Xiaomi Mi 6. As for the front camera, it's still a 5 MP shooter, but this time its front flash has been upgraded to a dual module as well — great news for those who love taking selfies in the dark. Of course, being in the Moto Z line implies support for Lenovo's Moto mods, the snappable backs which enhance functionality. Or in other words, if you're unhappy with an aspect of the device — the small battery, the lack of projection capabilities — or you simply want to switch up its looks, there's probably a mod for that. But it's not all old mods that you can use with the device, though: Lenovo actually introduced a brand new mod as well, the Moto 360 Camera. It looks to be pretty similar to what Essential showed off a couple of months back, but in the form of a snappable shell. The Z2 Force Edition is powered by Android 7.1.1 out of the box , which is pretty good when compared to someone like Samsung, who is yet to update the Galaxy S8 to the latest Nougat version. Moto isn't exactly known for its overly bloated devices — unless you're on a carrier, of course — and we expect to see the same thing with the Z2 Force Edition as well. However, with Lenovo having a new (concept) AI assistant on the horizon, we expect it to eventually make its way to the brand new flagship. Unlike its predecessor, the new Z2 Force Edition will be available from all four major carriers in the United States. This should be great news for consumers unwilling to switch carriers, and also means we won't be seeing a return to the unnecessary Verizon-only Droid branding like last year's Moto Z Droid and Z Force Droid. Available from all major carriers in the U.S. The device will start at $720 ($ 800 if you're not getting it via a carrier)— on par with some of the current flagships on the market right now (the Galaxy S8 comes to mind), but quite a hefty sum nonetheless. It will be available for purchase starting August 10 from carriers, Best Buy, or Motorola itself, but can also be pre-ordered starting today. And lastly, the Z2 Force Edition will come in three color options: Super Black, Fine Gold, and Lunar Grey, though the last one will be a T-Mobile Exclusive. Wouldn't necessarily want it for aesthetic purposes, it's more about the practicality of it's design, durability and battery life, IMO. You mean, in this case, lack of battery life? Go home moto, you're drunk. In this case only... Though the original Z Force has petty much the same design as this one, but with better than average battery life - 88hrs endurance rating. Z2 Force shouldn't be too bad in battery life, man. Still better than Note 8 back. I think the reason someone would want this phone is for the mods. Many of the mods include an extra capacity battery. I'm getting a landscape keyboard mod. If not for that, I wouldn't consider this phone. Moto makes some 'unique' looking phones, and haven't really changed their base design since the 2013 Moto G. It's like they start off with a good idea, then trip and fall during the process. They keep the same dated basic shape of the 2013 Moto G for all their new phones, try to modernize it, but doesn't come out as planned. 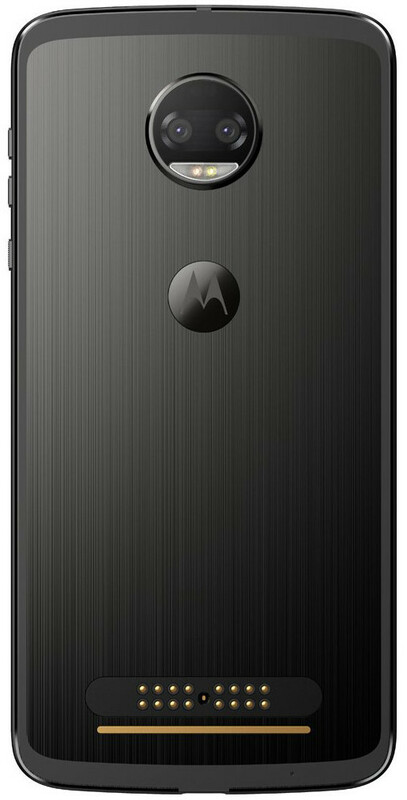 Also, the Moto branding on top of the fp scanner/home button on a $700+ phone? Moto has a hard time keeping up with phone design trends and is 4 years behind. This phone already looks a few years old. BTW, a 5mp front camera? Well said, personally i always hated their front design but i love their modular concept. If only they removed the logo from the front of the device, adopt Samsung S8 infinity design and combine it with their modular mods. I assure you i will take that device over S8 any day. That dual back camera hump loom like a robot's face more than LG's implementation. A tiny 2700 battery?! Not interested ! For the price and the features, you might as well get the Essential phone. Moto is definitely trippin with that battery capacity. No bueno. Someone from HTC has joined Moto.. Really 2700mAh battery on a quad HD Screen. Are you sure the price is $ 800 ?? Good one. Modularity is future. Is Lenovo on crack? A 2,730 mAh battery, more RAM outside the US, no headphone jack AND a $720 price full of carrier bloat? No Sale. Since Lenovo took over, everything has gone downhill. Modular nonsense, no updates and specs that simply don't match the price. Good work. You've killed the inventor of the cellular phone. Stop using the name.